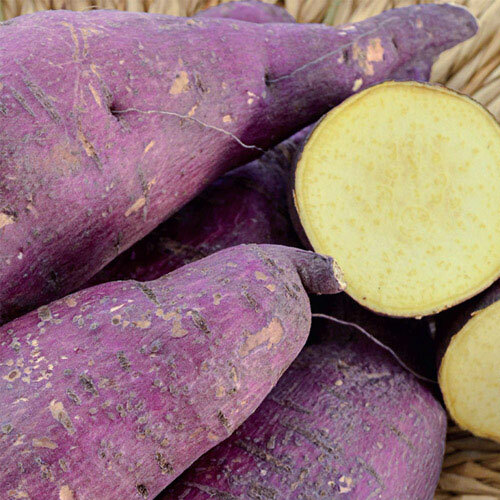 Murasaki Sweet Potato | Gurney's Seed & Nursery Co. Attractive purple skin and a sweet, nutty flavor are a winning combination in your vegetable garden—or your serving dish! This Japanese sweet potato has a dry, white flesh that's rich in fiber and vitamin C. Perfect for baking, boiling or mashing. Resistant to Fusarium root rot and southern root knot nematode. 100 DAYS. Spread4 - 6 foot vine. Spacing12 - 15 inches apart in rows 3 - 4 feet apart. Soil RequirementsFertile, well-drained sandy loam soil. pH 5.0 - 6.5. Growth RateRapid growth in warm soils. CommentsThis purple skinned, dry white fleshed Japanese sweet potato will be a standout in your garden. Has a distinct nutty sweet flavor. 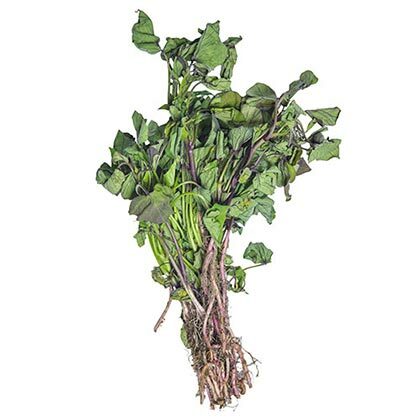 Resistant to Fusarium root rot and Southern root knot nematode. Contains lots of fiber and vitamin C.
Depth3 - 4 inches of stem in the ground of a plant that is 6 - 9 inches long. Days To Maturity100 days after planting.